Neymar & Di Maria are looking for a miracle so they can possibly play the World Cup final. After the national team doctors had said that he would no longer play this World Cup, the news is coming out of Brazil that he might play the final if Brazil makes it. According to Globoesporte, the forward would receive injections to numb the pain and allow him to go on the field. Mauricio Zenaide, Santos FC doctor, Rafael Martini, physiotherapist of Santos FC and Nicola Carneiro, specialist of spinal injuries were at Neymar’s house to evaluate the situation. It was left on the table the possibility of injecting him so that it would reduce and numb the pain so he could play the final. It sounds similar to what France wanted to do with Ribery, but the player refused, and from reports around that time, apparently this is a normal practice at some clubs around Europe. To me the decision should not be left in the hands of the player. Of course he wants to play, but he is not capable of making a sound decision, the decision should be made by the doctors, who should have his well being as their number one interest, and not a team or an individual. 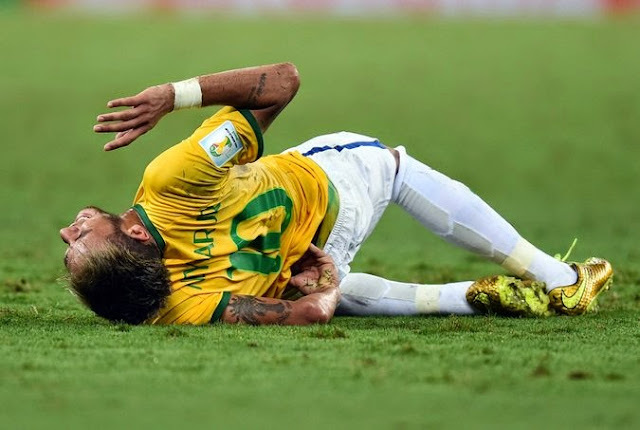 I understand the desire for a player to play a World Cup final, I also understand the desire of the team to have him, but I think the risks cannot outweigh the benefits, and perhaps in Neymar’s case they do. The player public relations team, late today, denied the earlier reports from Globoesporte and said that the doctors that visited him did it just to check on him out of friendship that he has with them and with Santos FC, his former club, and not to assess the injury or discuss methods of treatment. They did confirm that he might be ready to play the final but not because of alternative methods but rather proper treatment that has been prescribed by his doctors. I don’t think there is any “regular” method that could bring him back on the field by the time the final is played. I understand the PR around this issue, but I really believe they are playing with fire and risking an even more serious injury to the player. Di Maria is another player hoping for a miracle. He is doing an aggressive cell treatment that would help him recover from his leg injury in time to play the World Cup final, if Argentina eliminates Netherlands and advances to the final. The Spanish newspaper AS claims that the player had similar treatment at Real Madrid which allowed him to recuperate of an injury in time to play the Champions League final. 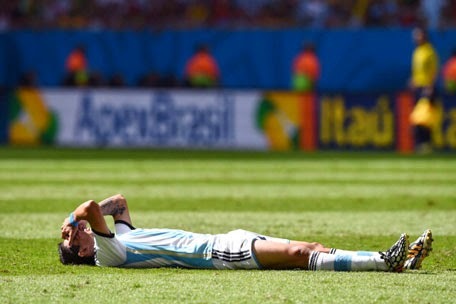 Both players are racing against time, but their determination to try any treatment that would allow them to play the coveted World Cup final is a testament to their desire to be present at such an important game, but first they will have to wait and hope their team mates can win the semifinal match.